An introduction to rocks, minerals and fossils, with tips on where to find them from mountain tops to cliff faces, valleys, riverbeds and beaches. 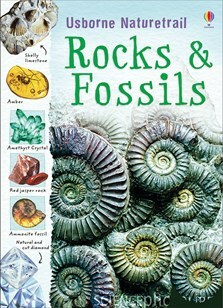 Contains fascinating facts and detailed diagrams on how different rocks and minerals are formed. Includes tips and advice for collecting and cleaning fossils and stones, and internet links to websites to find out more. An introduction to rocks, minerals and fossils, with tips on where to find them from mountain tops to riverbeds. The book contains fascinating facts and diagrams on how different rocks and minerals are formed and includes tips on collecting and cleaning fossils and stones. Internet links to websites are given, for finding out more.